Winter is long gone, so now is the time to bid those blacks and greys goodbye and shove them in some corner of your wardrobe, until of course, next season. It’s Spring season already and the cute little skirt can’t wait to come out. New season, new fashion and well of course, a whole new look! The new season brings with itself new fashion options but don’t get overwhelmed in deciding what to wear. You may have a lot of clothes in all colors and textures, but deciding what to wear every single day can be pretty daunting. So, here is help at hand as we pass on the secret of looking good every day. Seriously, with just simple changes, your wardrobe will stand the test of time and trends. Here is how to look effortlessly chic, no matter the season or trend. You may also call it the tri-colored rule. Use this while getting dressed or picking outfits- do NOT wear more than three colors at once. As simple as that! Even if you are mixing textures, prints or patterns- do not go overboard and stick to the three color rule. It will make the other mixing intentional. Not only you will look effortlessly chic, picking up outfits everyday will be a whole different ball game. P.S- White doesn’t count in the list so as long as you are sticking to black and white, you can still add two more colors to the look. 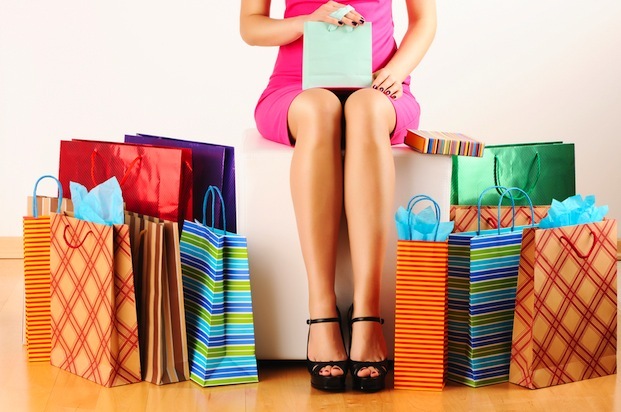 Control your urge to splurge everything because the store had a sale! Not only you will waste money, your stocked pile will only last one season’s trends. Don’t give in to impulse and do not go for it just because everyone is. It takes time and practice, but pays off well. As you learn to sift through piles of clothes in a thrift store or flea market, you will become trained in picking up treasure among heaps of potential trash. 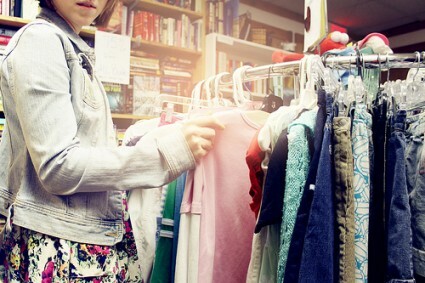 Older clothes, if they are in a good condition, are usually made with better fabrics than a lot of cheaper ones available. If you really have an eye for these vintage gems, you could end up with a good bargain. The key to being effortlessly chic is balance. A loose top needs a tight bottom and a baggy jean needs a lean shirt. The same can be applied to shoes. Chunky heels don’t flatter petite girls while stilettos look weird on girls with chunky calves. If you want to show skin, do it in moderation and only flaunt one part at a time. The options are in plenty- necklace, rings, belts, bags, scarves, bracelets etc. just pick whatever you like or whatever suits your taste. Right accessories can make even a basic outfit look stunning and chic. When done properly, accessorizing is your best bet to look effortlessly chic. This entry was posted in Create the Look, Essentially Yours, Runway Rages, Style Savvy and tagged accessories, body types, chic, dresses, glam, makeup, thrift shops.